Do you have a green thumb? Or not? While many people love looking at flowers, plants, and other kinds of succulents, not all of us have the capacity to grow them. There are very few people who have the “green thumb,” as they call it, that magical touch that allows plants and flowers to grow under their care. Luckily, we now have succulents to make us feel better about not being able to grow plants and flowers in the garden. 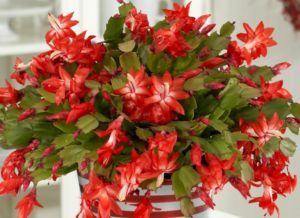 If you are a frustrated gardener or you simply like seeing plants inside your homes, a succulent plant is the best option for you. Succulents need little sunlight and water. You can leave them for half a day under the sunlight (while you are working) and then take them back in after you come home from work. You can water them before you leave, and then allow them to dry up before watering them again when you come home. It takes very little effort to make sure they grow healthily. 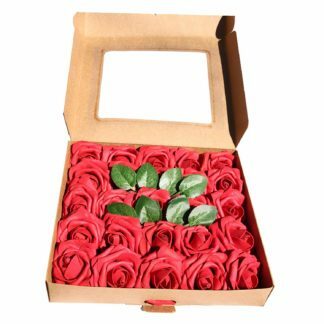 Whether you want them in girly colors of pink and lavender or you want them in earthy and natural colors like green, you’ll never have a hard time looking for the color of your liking. Succulents come in all kinds of colors you’ll be amazed at how many are available in the market. 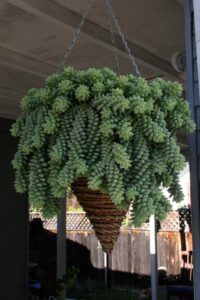 One of the things we love most about succulents is they can be tied with a string or a decorative cord and hanged indoors or outdoors. You can hang them in your gardens or inside your homes as decorative centerpieces. 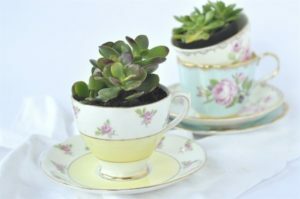 Instead of having to buy decorative pots, you can use an old teacup to put the succulent there. It looks dainty and very girly afterwards (if that is the look you are going after). There are other options, too. You can put them in a mini aquarium you haven’t used for years or put them in birdcages all together. They’ll make for an amazing décor. 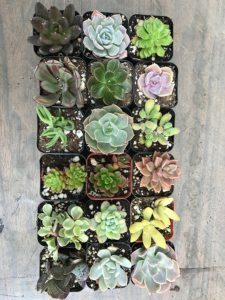 If you don’t know already, succulents like CAL Farms 20 of 2” Beautiful Assorted Variety Succulents make for great party favors. Whether it’s a wedding, a birthday, an anniversary, or a company party, it’s nice to be given a succulent as a giveaway. You think succulents are only used as living room décor? What’s stopping you from using it as a wedding décor? They can help guests find seats or be used as table centerpieces. You may even turn succulents into a wall décor where guests can take pictures in front of it. 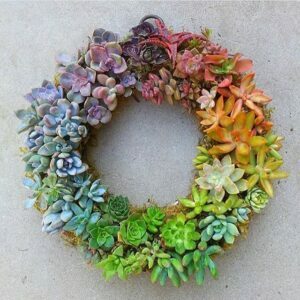 If you’re tired of seeing the old wreaths again and again during the Christmas season, you can turn your succulents into them instead. They are livelier to look at and definitely more interesting than the common items used on wreaths. 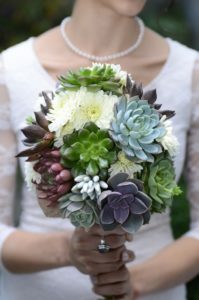 Why Choose Succulents As Wedding Party Favors? 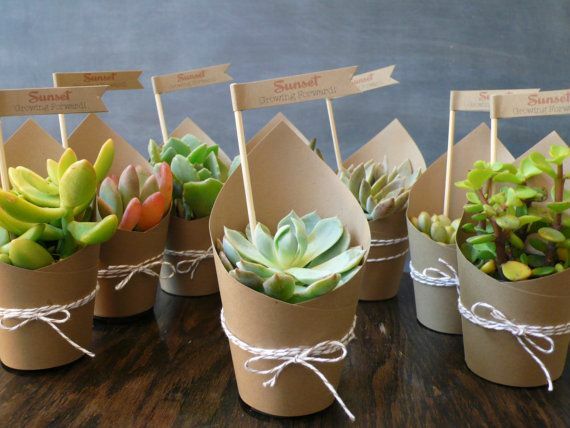 CAL Farms Beautiful 2” Assorted Succulents are great as wedding and birthday favors. 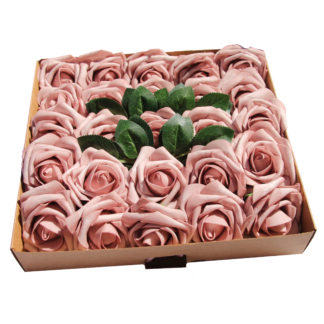 The 36-piece pack comes with two-inch assorted variety of succulents. The seller makes sure that every order will be treated with extra care by handpicking the succulents based on quality, health, and beauty. The pack also comes with helpful instructions on how to take care of the succulents and ensure their overall health. Succulents have many varieties. There is not one pot or wooden box that has the exact same succulent on them. Your guest will receive a very unique gift that won’t be similar to anyone else’s. 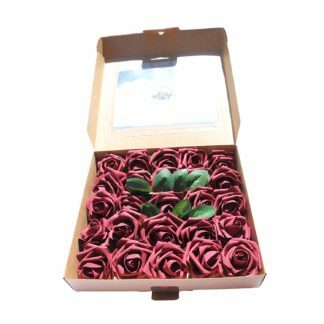 Cal Farms make sure that the quality of their succulents is topnotch and that they will stand authentic among the other succulents they distribute. 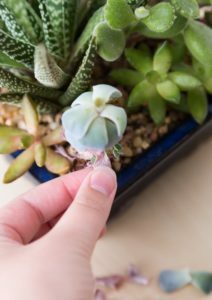 Succulents need very little care and maintenance. The instructions that come with every pot or wooden box will teach your guests how to take care of the succulents with minimal supervision. 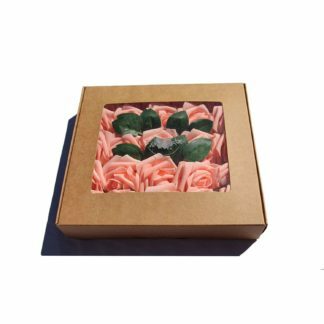 It requires very little water, which makes it the perfect gift for your guests, whether it’s your wedding, baptism, birthday, anniversary, etc. It’s a plant that’s perfect for any occasion. Aren’t we all tired of the same old party favors like figurines, snow globes, ref magnets, mini pastries, etc.? While all of these are cute and memorable in their own rights, isn’t a succulent something your guests wouldn’t expect? Although it has become more popular in recent years, not many couples still choose to go with succulents because of the misconception that guests don’t like receiving it or that it takes a lot of effort to take care of it. If you’re still not convinced that succulents are great party favors, you can try giving them as Christmas or birthday gifts. You’ll see how your friends respond to it. You can also use them in your home as a simple décor. Just put them on the countertop or near your chimney. They’ll make your living rooms and even your kitchens look extra special. Every year, there are new trends in party favors. And while some come and go in an instant, succulents may be staying for a little while longer than we expect. Succulents have a life of their own. They symbolize the joy of the event the guests attended. Instead of giving away the usual gifts, why won’t you give something that will remind the guests of you and your event? Succulents make the very best reminder of what the guests attended and what their memories of that event are. 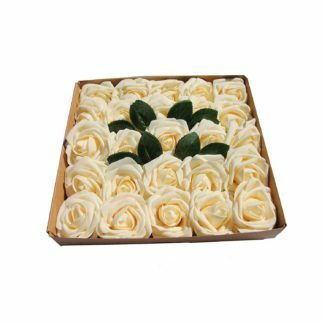 Choosing it as wedding party favors does not only make your event unique, but it also adds a touch of elegance in it.